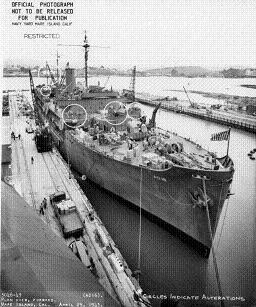 U.S. Navy, Navy Yard Mare Island photo # 3046-43. Cascade was completed 12 March 1943 at San Francisco. She was converted from a Maritime Commission C3-S-A2 cargo ship. Her largest booms were capable of lifting 30 tons.